Home / Just for Laughs / pure comedy / Tired of Tom Stealing Your Post-its? Tired of Tom Stealing Your Post-its? 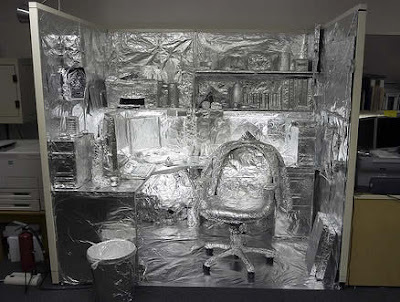 Well our friends over at Savvy Sugar have compiled a list of the 10 Most Tricky Office Pranks. These are are sure fire ways to get your annoying co-workers to leave you the hell alone!..Two words "pure comedy!" Check it out!